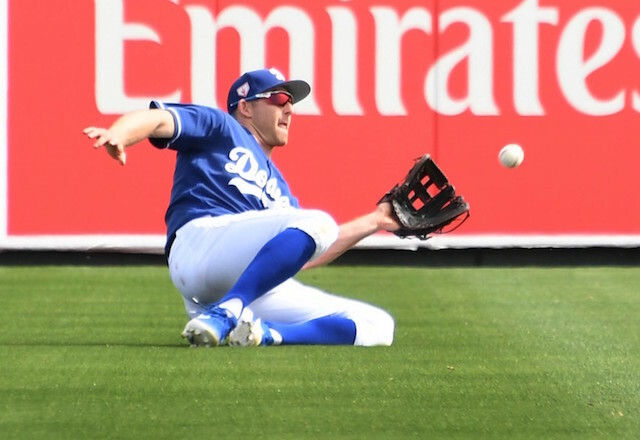 In relying on their organizational depth over recent seasons, the Los Angeles Dodgers have unearthed surprised contributors such as Joe Blanton, Brandon Morrow, Chris Taylor and Max Muncy. And if Spring Training is any indication, Brad Miller is poised to join that list. The 29-year-old spent last season playing for the Tampa Bay Rays and Milwaukee Brewers, appearing in a combined 75 games. Miller was not on the Brewers’ National League Championship Roster when they faced the Dodgers as he was released by the team last July 31. 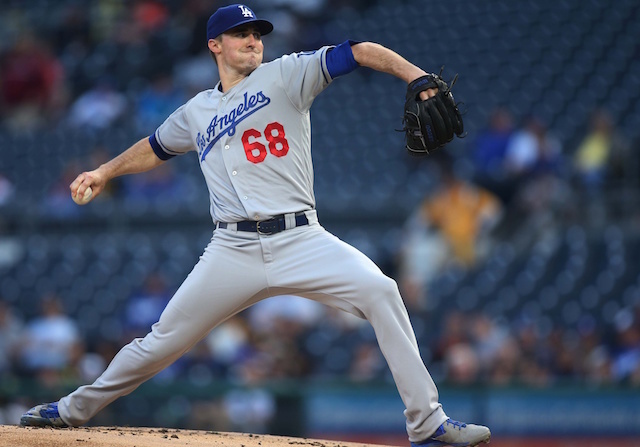 The Dodgers signed Miller to a Minor League contract with an invitation to Spring Training on Feb. 28, or two weeks before camp opened at Camelback Ranch. 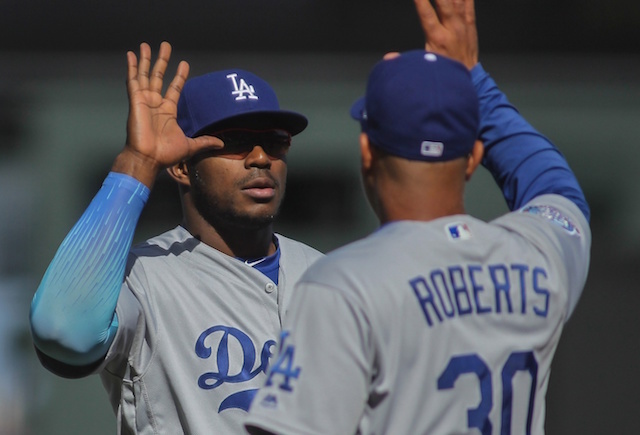 Having watched Miller play on opposing teams, manager Dave Roberts spoke highly of the utility infielder. The deal includes an opt-out date this week. If it looks like he won’t make the season-opening roster, Miller can become a free agent again rather than except an assignment to Triple-A. While it’s unclear if the stipulation holds true for Miller, an opt-out in a Minor League contract typically can be done away with by adding a player to the active roster. 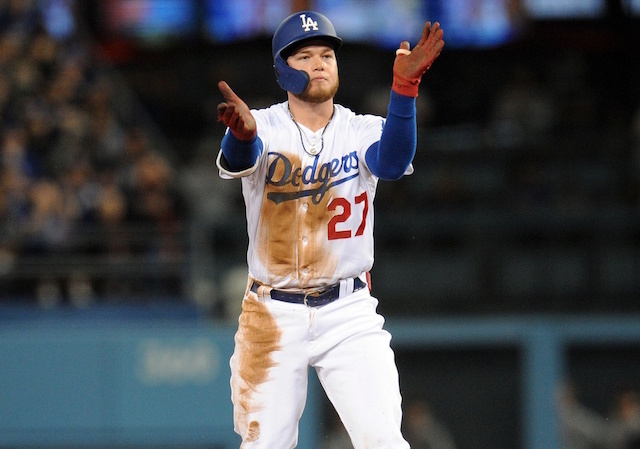 The Dodgers faced a similar decision during the 2017 season with Morrow, which explained his call-up. Over parts of six seasons with the Seattle Mariners, Rays and Brewers, Miller is a career .239/.313/.409 batter with 75 home runs in 680 games. 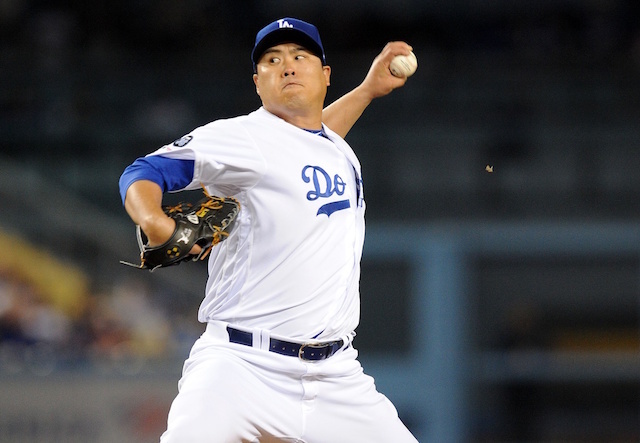 Miller is hitting .350/.409/.650 with two home runs and three RBI for the Dodgers this spring.